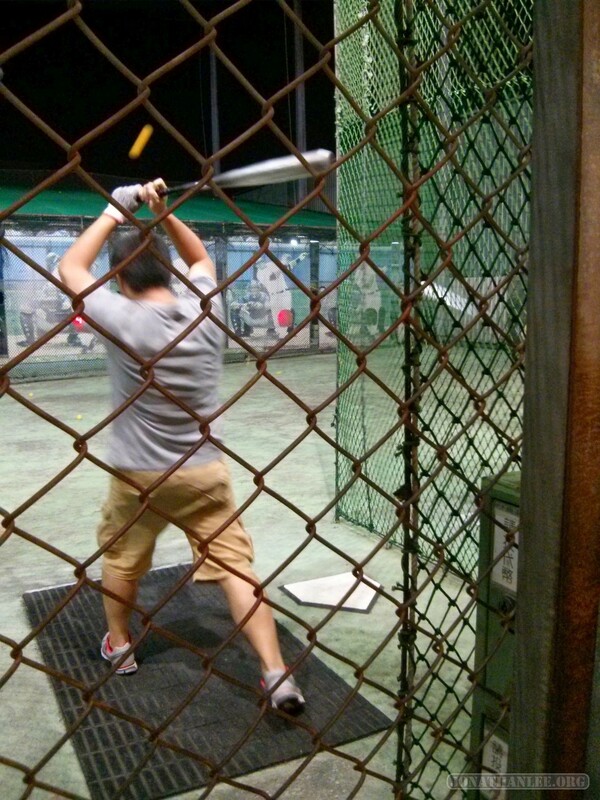 Baseball batting cages seem deceptively simply – for approximately 30 cents USD, you can get a machine to pitch balls at you at a variety of speeds, from 65 km/hr (lobbed at an angle) to 140 km/hr fastballs. The slow balls, lobbed at an angle, look deceptively easy (they’re moving so slowly! 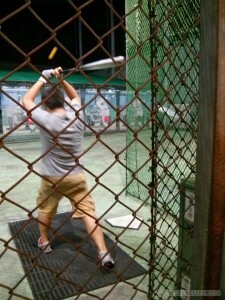 ), but are incredibly difficult to hit. My score: 0/20. Oddly enough, I think that batting ease for regular fastballs is a standard bell curve. Too slow, and there’s too much variance in ball height, and it’s hard to hit. 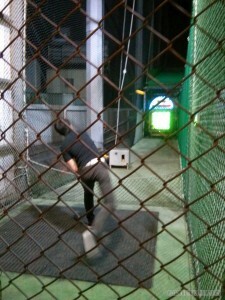 Too fast, and it’s hard to react and hit the ball. 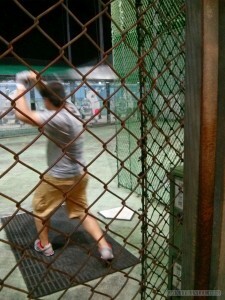 But even in the sweet spot, it’s still infuriatingly hard to hit the ball. First, you’ve got the aim the baseball bat at approximately the right height. 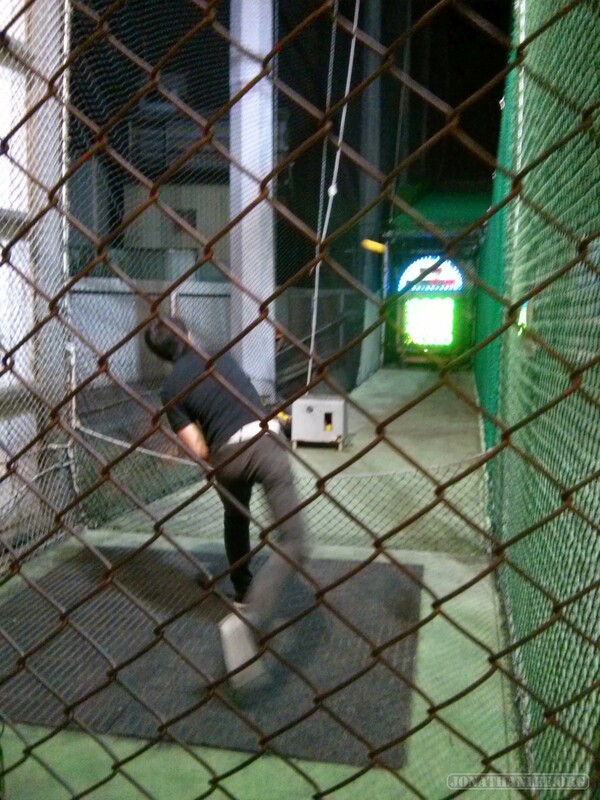 Then, you have to actually see the ball as it flies towards you, so that you can have the right timing on your swing, as well as adjust the height you’re swinging at. SURPRISINGLY HARD. My score: ~5/60. Oh, and there’s also baseball pitching! 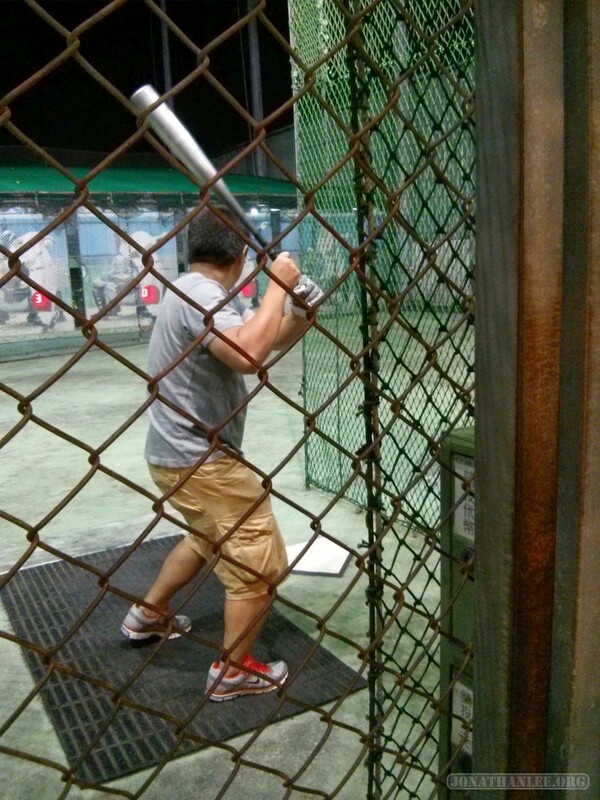 For the aspiring pitchers, you can practice your pitching accuracy, by throwing baseballs at a distant 4×4 grid of targets. For 60 cents USD, you get maybe 12 balls to pitch. 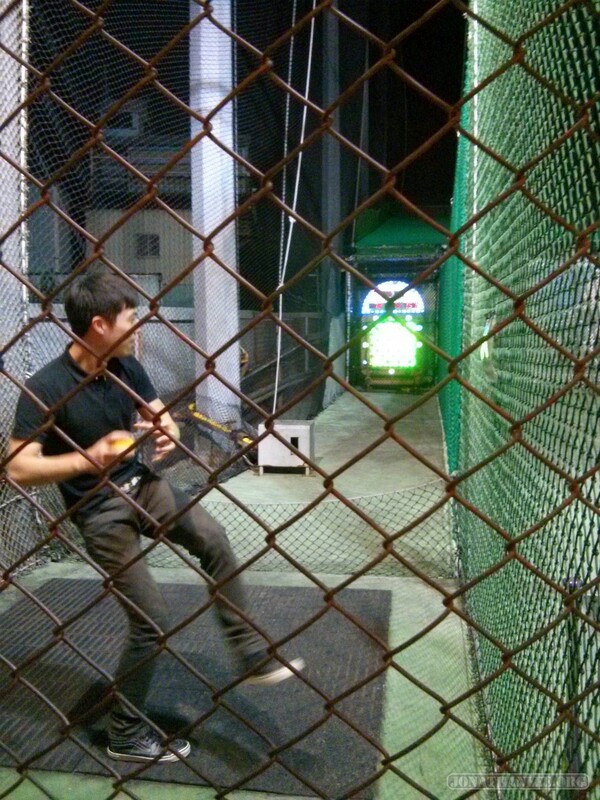 Every time you hit a target, as well as every time you hit a combination, you win extra balls! Some people would throw for several minutes on a single token. 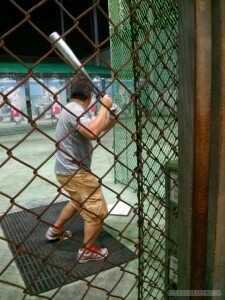 But with my horrendous accuracy (or lack thereof), I was soon out of baseballs to pitch. A fun night, but my arms were quite sore the next day. I could not properly clench my fists together for a couple of days.